Exquisite Sierra 2 Story on estate sized lot in Woodland Manor! Don't miss the luxurious upgrades in this plan! Spacious kitchen features gorgeous marble island, pantry with barn door, SS gas range, custom cabinets, and soft close drawers/doors. Welcoming hearth room with gas fireplace with wood mantle, marble tile surround, and floating shelves. Mud room boot bench/storage cubbies. Hardwood floors thru kitchen, great room, & entry. Amazing master suite and bath with free-standing tub and zero entry shower. 20596 W 107TH Place (MLS #2133968) is a traditional single family home located in Olathe, KS. This single family home is 2,650 sqft with 5 bedrooms and 4 baths. This property was listed on 10/10/2018 and has been priced for sale at $449,500. Nearby zip codes are 66013, 66215, 66216, 66219 and 66227. 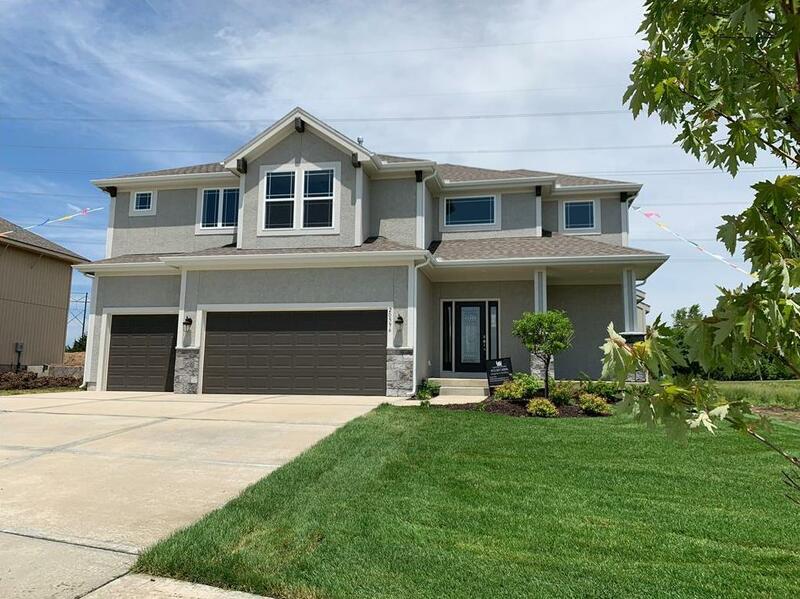 This property neighbors other cities such as Lenexa, Merriam, Overland Park, Shawnee and Shawnee Mission. Listing Last updated 04/25/2019 10:30 AM CDT . Some properties which appear for sale on this web site may subsequently have sold or may no longer be available. Walk Score provided by Walk Score. Mapping data provided by Google and Bing.